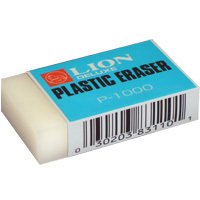 Plain white (translucent) plastic eraser. Low abrasion for general commercial usage. W25 x L45 x H10mm. 24 pcs./display box. Jumbo size plain white (translucent) plastic eraser. Low abrasion for general commercial usage. W50 x L86 x H19mm. 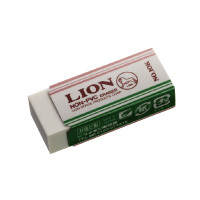 Soft-touch feeling, small size standard plastic eraser. W43 x L18 x H12mm. 40 pcs./inner box, 1200 pcs./carton. Soft-touch feeling, middle size standard plastic eraser. W55 x L21 x H12mm. 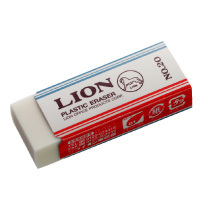 Soft-touch feeling, large size standard plastic eraser. W55 x L24 x H12mm. 30 pcs./inner box, 900 pcs./carton. Environmental-friendly PVC-free eraser. W43 x L18 x H12mm. 40 pcs./inner box. 1200 pcs./carton. 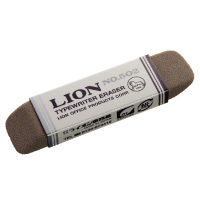 Environmental-friendly PVC-free eraser. W55 x L24 x H12mm. 30 pcs./inner box. 900 pcs./carton. Combination eraser for both ballpoint pen ink and pencil. The gray half erases ink mark and white half erases pencil marks. Ideal for industrial use such as erasing temporary marking or checking paint application. W66 x L17 x H9mm. 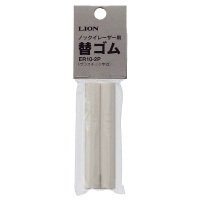 Sand texture rubber eraser for ink such as ball point pen ink and indelible ink. 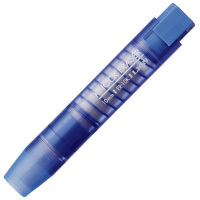 Excellent for erasing indelible ink or marking ink on non-porouse surfaces - metal, plastic etc. Ideal for industrial use such as erasing temporary marking or checking paint application. 40 pcs./inner box, 1200 pcs/carton. A convenient, long-lasting eraser in a pen style. Push-button non slip clutch releases, advances and retracts the erasers as needed. Perfect for draftsmen, students, accountants, secretaries or anyone who writes with a lead pencil. Refillable. Includes one long-lasting 10mm dia. 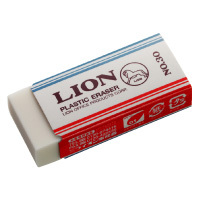 x 70mm plastic eraser. Transparent-Blue or Transparent-White. 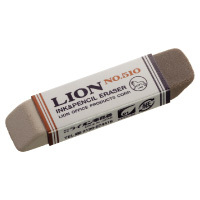 Refill eraser for ER-10K. Pack of 2 plastic eraser.